But I totally got Tweeted by The Todd tonight. 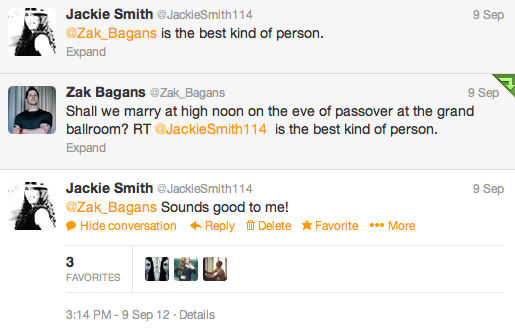 I’ve also been proposed to by Zak Bagans from Ghost Adventures. Maybe I should remind him of this. Okay, that one was sort of bragging. But still, it was really cool.